A youth-led movement against the tobacco industry has placed rubber bendy men figurines attached with anti-smoking messages across the University’s Penrhyn Road campus. The campaign is the work of Ctrl-Z, a movement that aims to educate students about the health risks of smoking and encourage those who smoke to quit. 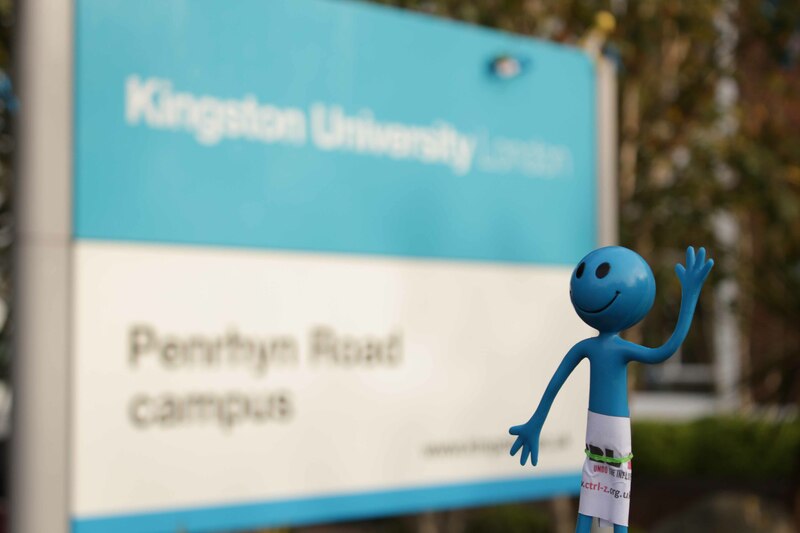 Alex Harris of Ctrl-Z said: “We will have to do a lot more to reduce student smoking at Kingston University, and in actual fact it is the students themselves we want to help us with this. The group placed hundreds of the bendy men throughout Penrhyn Road in trees, bushes, the cafeteria and outside buildings on Monday November 24. Mr Harris said that they were meant to represent the victims of the tobacco industry. Ctrl-Z’s research discovered that about a third of all KU smokers only became regular smokers once they started their courses. “Everyone loved the bendy men themselves, and many were shocked by the messages,” Mr Harris said. “The fact that 274 people die each day in the UK from tobacco products was especially jarring to them. Mr Harris added that Ctrl-Z is planning to increase its presence around the University through projects including more marketing materials like the bendy men, “cut-out man” flyers and other outreach opportunities at student fairs. Students who are interested in getting involved with the campaign can visit www.ctrl-z.org.uk and further information on a free stop-smoking service provided by Kick-It can be found at www.kick-it.org.uk. Born and raised in faraway western Canada. Supporter of Manchester United and lover of London. Studying international relations. Traveled from Cuba to Eastern Europe and interested in languages/culture. Aspiring writer. Drinker of Guinness.